Growing up in Portales, New Mexico, our family was far from wealthy. My mother waited to begin teaching until I was in high school, so our family pinched a lot of pennies to make ends meet on my dad’s teacher’s salary. Like so many of his teacher friends Dad was only paid for 9 months. He had to work throughout the summer (and actually year-round) with his second job as Executive Secretary of the New Mexico State Student Councils. Even before Mom started working, my sister Dusty and I always had what we needed. There was never a time when I wondered if we were going to have enough to eat or nice clothes to wear or even a baseball mitt. There were a lot of sacrifices along the way – especially when Dusty got polio and Dad & Mom had to travel back and forth to Truth or Consequences, NM every week for months on end. Then Dusty had to have 7 operations so she could walk with braces and crutches, plus trips back and forth to Albuquerque for years for brace fittings and checkups. When you live in the land of plenty, it’s easy to forget to be thankful for the small things. But Dad & Mom never allowed us to forget how thankful we should be. They reminded Dusty and me to be grateful for the good things we had. They must have given us the “starving children in Africa” speech at least a thousand times when we didn’t like the spinach or canned peas or liver. That must be why I am always touched when I hear the praise song, Give Thanks With a Grateful Heart. But, it is difficult to appreciate or understand hunger when you’ve never truly been hungry yourself. Once you’ve met someone who’s starving, however, it isn’t so hard to understand. 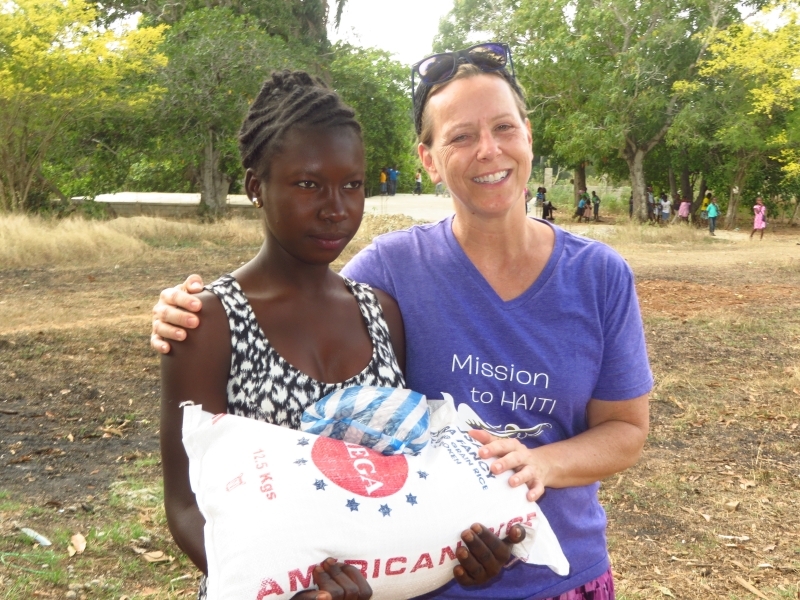 Traveling to Haiti countless times over the past 20 years has given me a much better appreciation for the things in life that I’ve never had to worry about – like food and shelter, the clothes on my back and the shoes on my feet. For two years Grace Methodist Church in Wyckoff, NJ has given Aslan brand new sneakers for some of our children here. Each set includes a personal note of love to the child and pairs of socks. 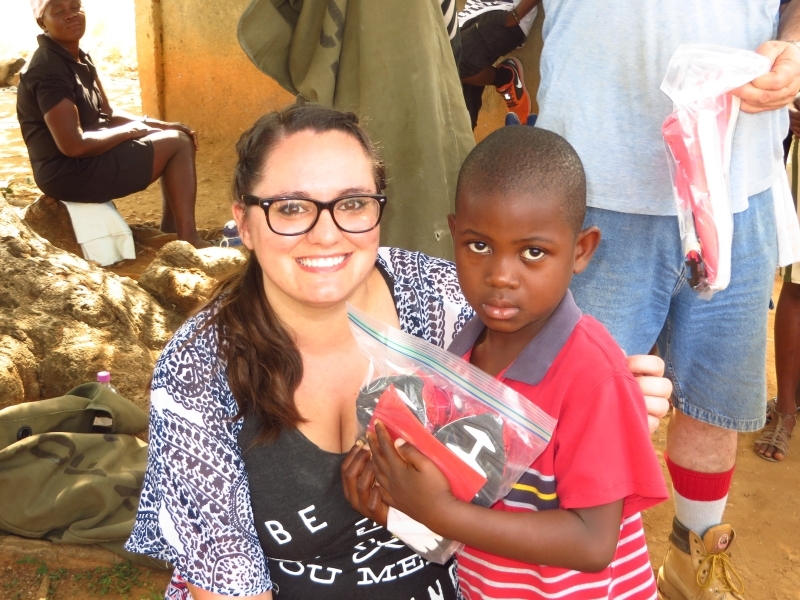 It was a joy and a lot of fun on Thursday morning for our St. Paul’s Methodist Haiti team (Brick, NJ) to hand 50 children their special set of shoes! 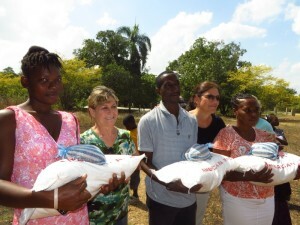 Then we all prayed for the 90 families to whom we provide monthly rice & beans. These fathers and mothers of our 200 Aslan kids in Haiti are so grateful for the extra bit of food we give to them each month. Both they and we have seen their children’s health steadily improve since we started this wonderful program several years ago. A lot of constantly runny noses and infections (some very serious) have completely disappeared. Step of Faith Ministries in Brick, NJ helped us start and are sustaining Grains of Grace; and, Pilgrim Baptist of Red Bank, NJ has also joined us in providing this food for many of our families. God wants us to have a grateful heart and to be thankful for the things we have. He also tells us to be careful not to desire the things others have that we don’t have. So much of our culture in America is built on having to have the next version of iPad or iPod or notebook computer or Samsung phone or whatever else is the best thing coming. It is really sad to see pictures of thousands of people around the country waiting all night in line for the next big “thing.” Our friends here in Haiti are so grateful for the smallest gifts we bring. A pair of shoes or a bag of rice is like giving them gold or silver. They are also very generous to us with the little they have. Yesterday Gentilia, one of the nurses at our clinic, gave coffee to each of our departing team members. She roasted the coffee beans over open coals and then ground the coffee by hand. She even packaged it in Ziploc bags for each person. It took a lot of time, and it was done with a great amount of love. 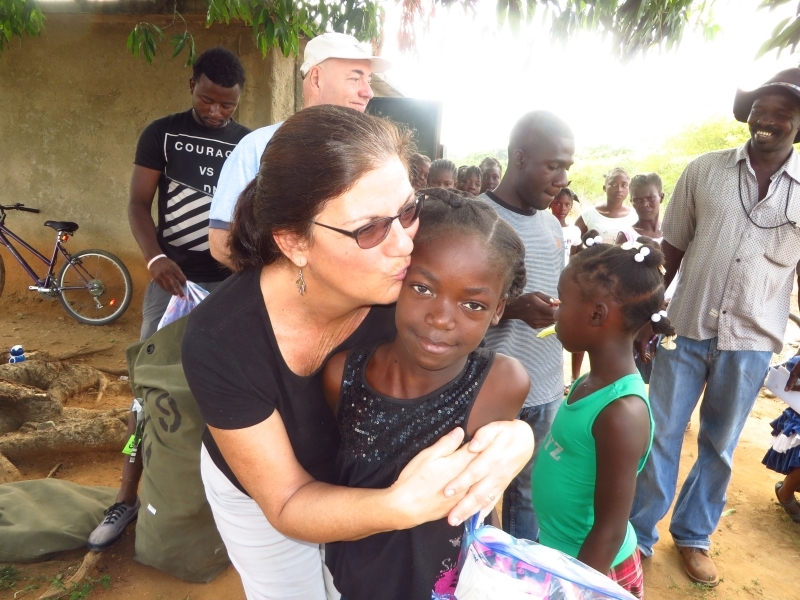 Sometimes our Haitian families and children can only give us a big hug and say “Thank you.” That is no small thing! P.S. 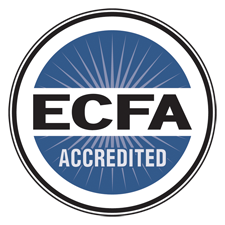 Special thanks to Step of Faith Ministries in Brick (and their wonderful Executive Director, Pam Hess) who have invested so very much in our work here! Thanks also to Pilgrim Baptist Church in Red Bank (Rev. Terrence Porter, Jean Mondecir, the Haiti Committee, and our many friends) for funding and support to lay the foundation for our church in L’Acajou! 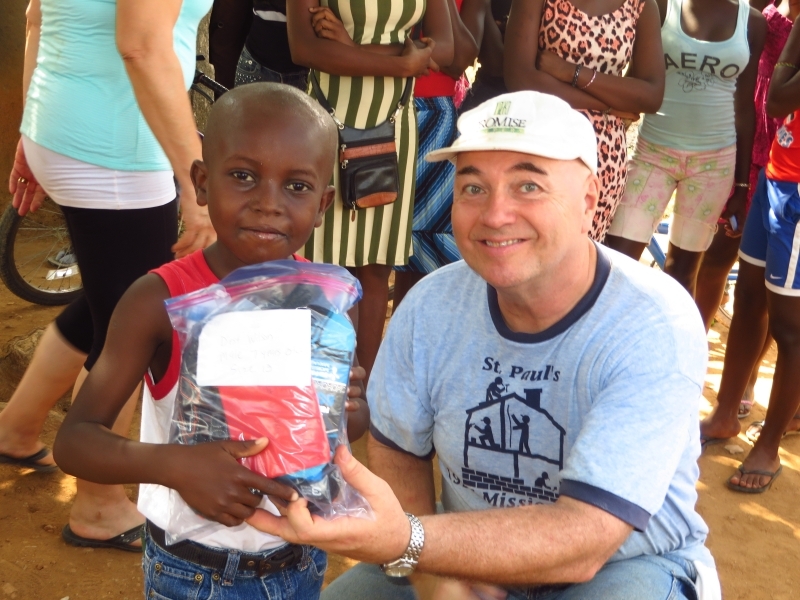 Many, many thanks as well to our friends at St. Paul’s Methodist Church in Brick who have blessed Aslan’s work in Haiti in a multitude of ways!